Through insightful case studies of faith-based organizations, Christian political activism and welfare provision in the West, this innovative, informative and wide-ranging book shows how Christians can engage politically in a multi-faith, liberal democracy. The case studies include assessments of initiatives such as community organizing, fair trade, and the sanctuary movement. 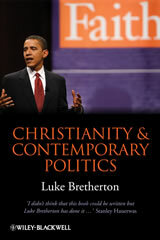 Bretherton integrates debates in political theology with analysis of policy and practice regarding religious social, political and economic engagement in the USA, UK, and continental Europe, but avoids presenting an idealized archetype for church-state relations. Instead, he engages with the intricacies of contemporary politics whilst integrating systematic and historical theological reflection on political and economic life. The book delineates the ways in which ‘faithful witness’ and the forging of a common good – at local, national, and global levels – emerge through a dynamic of listening, judgement, and proclamation between Christians and those of other faiths and of no faith. Rather than advocate withdrawal or assimilation, the book reveals how faithful witness can help prevent the subversion of the church – and even of politics itself – by legal, bureaucratic, and market mechanisms. Relations between religious and political spheres continue to stir passionate debates on both sides of the Atlantic. Through a combination of theological reflection and empirical case studies, Bretherton succeeds in offering timely and invaluable insights into these important issues affecting our society today. Luke Bretherton is Associate Professor of Theological Ethics and Senior Fellow, Kenan Institute for Ethics, at Duke University Divinity School. Prior to this he was Reader in Theology & Politics and Convener of the Faith & Public Policy Forum at King's College London. He has worked with a variety of faith-based NGOs, missions, and churches in several national and international contexts. He is the author of Hospitality as Holiness: Christian Witness Amid Moral Diversity (2006), and is former Reviews Editor for the journal Political Theology. Victor Lee Austin is Theologian-in-residence at Saint Thomas Church Fifth Avenue in New York City. He is the author of scholarly articles in political theology, ecclesiology, and social ethics, as well as a book of theological meditations on everyday life, A Priest's Journal. In this moving and intelligent book John Gillibrand, an Anglican priest, draws on his experience of caring for his non-verbal son, Adam, who has autism and is now a teenager. He reflects on how the experience has changed not just his life, but also his whole way of thinking about theology, politics and philosophy. 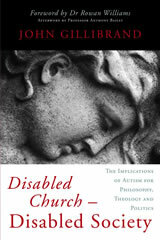 Illuminated by an account of his day to day experiences with Adam, and deeper reflection upon the meaning of that experience, John Gillibrand considers the challenges that autism - and disability in general - present to the western tradition of thought in theology and philosophy. His experiences lead him to consider the place of people with autism in relation to religion and philosophy, and how the difficulties in providing adequate public services for those with autism and their carers point to a need for radical transformation of western political structures. John Gillibrand is an Anglican priest working in the Diocese of St David's in West Wales. He has degrees in Theology and History from Oxford University. His doctoral studies at the University of Wales, Bangor, were on the applicability of the thought of Michel Foucault to Christian theology. He lives in Carmarthenshire, Wales. "Heaven is one of those great mysteries that somehow symbolize what we don’t know about ourselves and the world around us. At the same time it lifts our vision from the mundane realities of our everyday lives and reminds us that beyond the daily grind of our existence there is another, unseen reality. A reality that is as real – if not more so – than our everyday lives. Heaven suggests an answer to the familiar human feeling that there must be more than this, and prompts us to wonder whether there is indeed more in heaven and earth than can be dreamt of in all our philosophies." 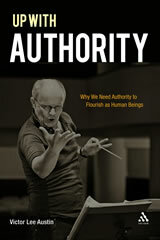 "As Paula Gooder puts it, this book tackles all the “weird stuff” the Church tends to shy away from. We are in the realm here not of fluffy clouds and harps but of God’s presence, angelic beings and mystical visions. Heaven, we discover, is not just about the afterlife but the here and now – about how we live with each other, the planet and God. 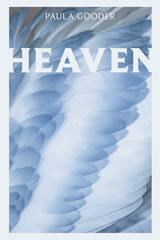 This is indeed the essential ‘rough guide’ to heaven, and much more." Paula Gooder is a freelance writer and lecturer in Biblical Studies. She is Canon Theologian of Birmingham and Guildford Cathedrals, Lay Canon at Salisbury Cathedral, Visiting lecturer at King's College, London, Associate lecturer at St Mellitus College, London, and Theological Adviser to the Bible Society. She is a Reader in the Church of England and a member of General Synod. Many of the Bible’s characters and stories are also found in the Qur’an, but there are often different details or new twists in the Islamic retelling of biblical narrative. In Claiming Abraham, seasoned theologian Michael Lodahl explores these fascinating divergences to discover the theological difference they make. Writing from a Christian perspective that is respectful of the Islamic tradition, Lodahl encourages readers to reflect on the real and appreciable differences among Jewish, Christian, and Muslim traditions. He contends that exploring the distinct trajectories created by the different tellings of biblical stories gives readers a deeper appreciation for each faith’s reading of Scripture. 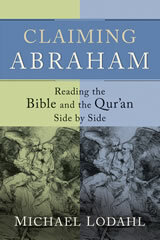 To this end, Claiming Abraham compares and contrasts how the Bible and the Qur’an depict and treat certain characters in common to both religions, including Noah, Abraham, Moses, and Jesus. Lodahl provides extended theological reflection on doctrines held in common by Christians and Muslims, such as creation, revelation, and the resurrection of the body. He also explores rabbinic writings as an important source for understanding the Qur’an and accentuates the critical role of interpretive communities in the making of Jewish, Christian and Muslim traditions. Claiming Abraham offers an accessible introduction to Muslim theology and to the Qur’an’s leading themes, providing readers with a fuller understanding of Islam. It will benefit professors and students in theology, comparative religion, intercultural studies, and Islam courses as well as thoughtful lay readers and pastors. Michael Lodahl is professor of theology at Point Loma Nazarene University in San Diego, California, and has studied extensively in Israel and Jordan. He is an ordained elder in the Church of the Nazarene and has served congregations in three states. Lodahl is the author of several books, including The Story of God: A Narrative Theology. What are we to make of the passages in the New Testament that appear to condone, incite or justify violence? Was the crucifixion of Jesus intended to assuage the anger of a vengeful God? What about the language of divine warfare? Does the repeated call for subordination create space for violence? "‘Thomas Yoder Neufeld considers many of the New Testament’s texts that might implicitly or explicitly condone violence of one kind or another. Though he concludes that these texts actually subvert violence, he does so without avoiding the very difficult questions they raise. Readers will be both disturbed and challenged by this timely book." 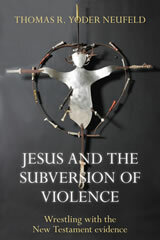 Publisher's note: This book is published by Baker Academic in the USA as Killing Enmity: Violence and the New Testament. Thomas Yoder Neufeld is Professor of Religious Studies and Theological Studies at Conrad Grebel University College, Waterloo, Ontario. He is the author of numerous articles and several books, including Recovering Jesus: The Witness of the New Testament, and a commentary on Ephesians.